The Nova single tote bag from BSI has a retro shape with modern materials in a variety of colors. It could be exactly what you need. 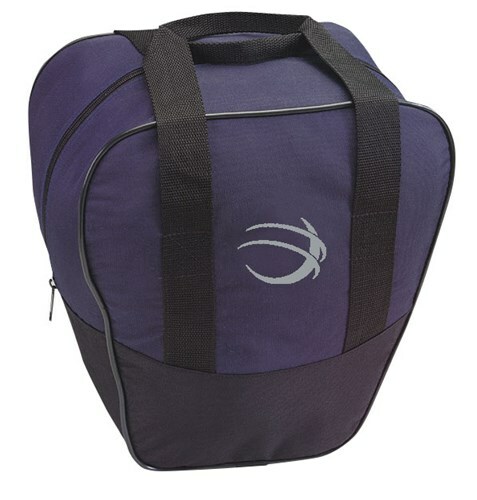 This is a great bag for someone just getting into the sport or a seasoned bowler who has too many balls for their roller bag. Hello. This bag will fit a small pair of shoes. Due to the time it takes to produce the BSI Nova Single Tote Navy/Black ball it will ship in immediately. We cannot ship this ball outside the United States.